The personal injury lawsuit names Mario Franco, Codie Korn and Franco’s Trucking as the defendants. The suit states that the truck driver, Korn, is a convicted felony and has previous convictions for driving drunk, illegal consumption and four convictions for driving without a driver’s license. The suit also states that the driver failed to keep a proper lookout, failed to maintain his truck, drove too fast for conditions, and did not make a timely application of his brakes. The gravel truck can be seen on video rear ending the plaintiff’s car at high speed in Austin at a traffic light. Another media report states that failed brakes was the most likely reason for the crash. That report also states that Franco’s Trucking has 20 safety violations on record. Our Virginia, West Virginia and North Carolina truck crash lawyers see far too many preventable truck accidents that are often due to poor maintenance. What a shame that failed brakes most likely was a major factor in this serious gravel truck crash. 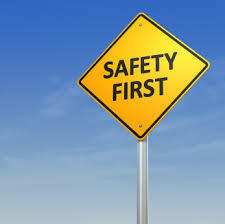 The Texas CDL manual states how important it is for truck drivers to always conduct pre-trip safety inspections. The truck driver should examine the brakes every day and look for cracked drums, shoes or pads that have oil, grease or brake fluid on them, and shoes that are missing, broken or worn too thin. The manual also advises that before starting the trip, the truck driver should drive at about 5 MPH and push the brake pedal firmly. If the truck pulls left or right, there could be a brake problem. Whatever type of negligence causes a truck accident, it can leave seriously injured or dead victims in its wake. Our firm frequently represents the families of truck accident victims, such as this 2006 truck crash that resulted in a $2.4 million settlement.